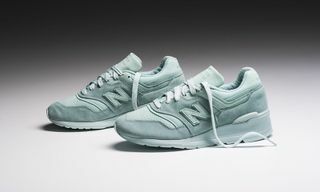 Key Features: Suede and mesh upper, interchangeable “N” logos, reflective accents, ENCAP midsole for support and durability, EVA foam midsole for cushioning. 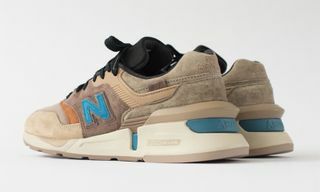 Editor’s Notes: New Balance has recently released a new take on the 997 for SS19, one that features interchangeable “N” logos. 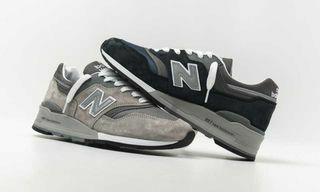 The low-top runner, constructed from suede and mesh, is showcased in light grey, leaving the switchable “N” logos to add pops of color. 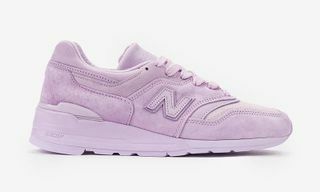 Additional New Balance branding is then featured on the tongue, heel and insoles, as the brand has implemented its ENCAP midsole technology and EVA foam midsole for enhanced support, durability and cushioning. 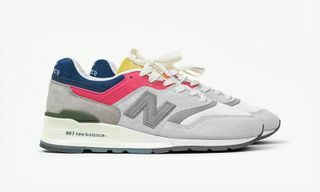 You can pick up your size of this particular 997 at select New Balance providers such as Premier.